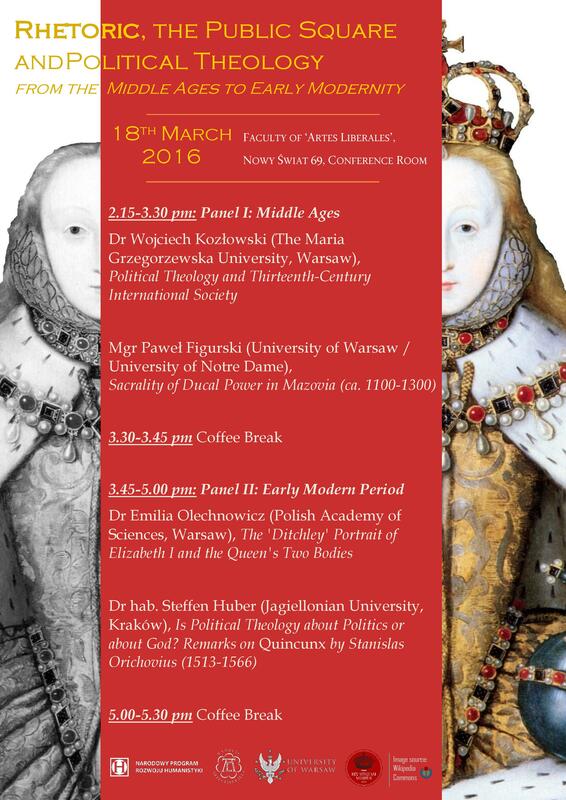 We are pleased to inform you that on Friday, March 18, our Committee will be hosting two exciting and deeply correlated events dedicated to late medieval early modern art of discourse, theology and philosophy. The first one will be a research seminar on rhetoric, the public square and political theology in the Middle Ages and early modern period, which is organized by Dr Simon Burton in collaboration with Dr Karolina Mroziewicz and Aleksander Sroczyński of our Faculty’s “Rex Nunquam Moritur” project. The seminar will be followed immediately by a guest lecture, co-organized with the Institute of English Studies, which will be given by Torrance Kirby, Professor of Ecclesiastical History at McGill University in Montreal. 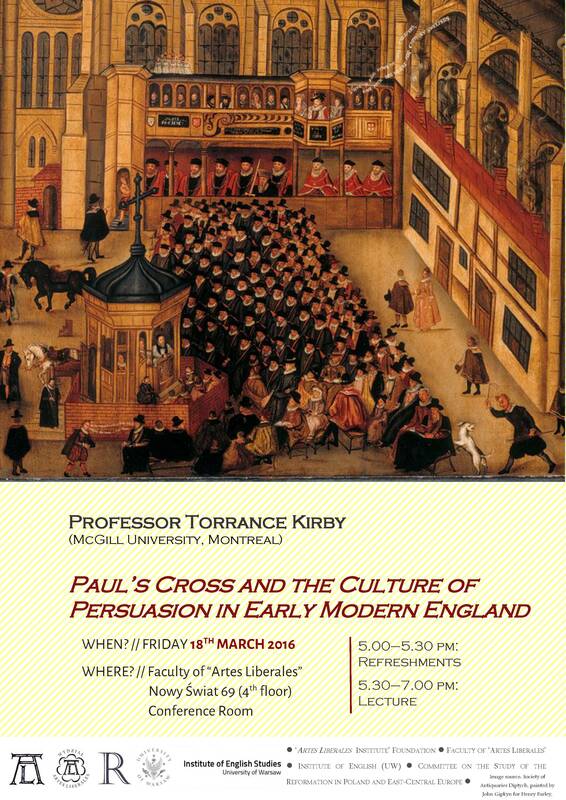 In his lecture, Prof. Kirby will discuss matters related to the public discourse in Elizabethan England, focusing particularly on the role of the open-air preaching pulpit in the grounds of the Old St Paul’s Cathedral in London. All are welcome, no prior registration needed. The organizers wish to thank the ‘Artes Liberales’ Institute Foundation and the Institute of English Studies of the University of Warsaw for their support in organizing these two events.